We are a renowned name in the industry to provide our precious patrons a qualitative range of Taper Shank End Mill. This Counter Sink is made of high grade quality materials and widely used by our clients. These sinks are procured from our trusted vendors and appreciated by our clients. These products are made with international quality standards. These products are manufactured and exported to our valuable clients at reasonable prices. - Available with Threaded and Flatted shank in standard regular length series and long series. Backed by certified vendor base, we offer Taper Shank End Mills to our patrons at cost-effective price range. It is highly admired for its unmatched quality, durable finish standards and hassle-free operations. Taper Mills - Description and Usage Taper mills are generally used to eliminate restrictions or to mill through "pinched", collapsed casing. They are equipped with a tapered or a short blunt nose, which serves as a guide. The type of restriction dictates the type of mill to be used. 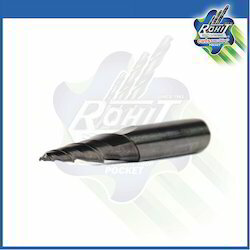 We are the manufacturer and supplier of carbide tipped straight shank end mill in india. sizes available 1/4" to 3"
We have carved a niche amongst most dominant names in this domain indulged in presenting Taper Shank End Mill. 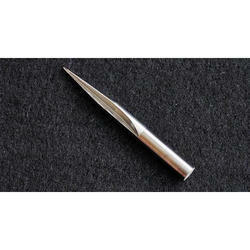 This Taper Shank End Mill is manufactured by using sharp edge technology and advance machines. Our product range is checked for quality as per the set standards of the industry. We are one of the foremost Manufacturers and Suppliers of Taper End Mills ..We are only manufacturing, Suppling in south India regions like Tamilnadu, Kerala, Karnataka and Andhra Pradesh Only.